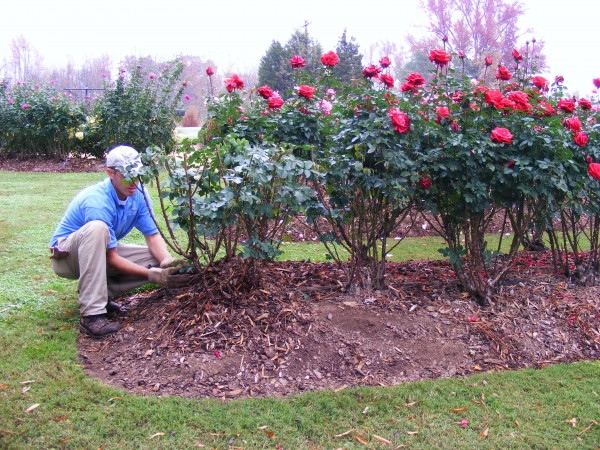 It consists of cutting back the roses to about 36" high and covering the center of the plant with mulch. This is done in early December after we have had several frosts and the roses have gone semi dormant. Winter protection is important even in North Carolina where the winters are generally mild. 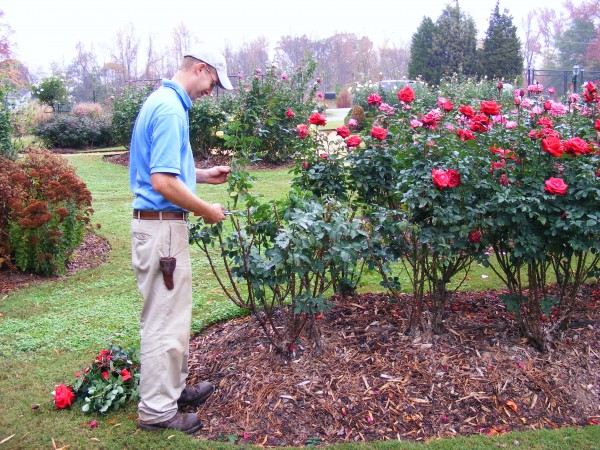 I would think winterizing as insurance for your roses. Insulates and prevents the graft from freezing or drying out. Pine straw or leaves do not insulate as well as wood mulches so they are not recommended for winter protection. Make sure your pruners are sharpened and are in great working order before you cutback. This will make the job easier and safer for you. While we are sad to see growing season come to an end, we can get excited about giving our roses time to rest and recoup for the next season!